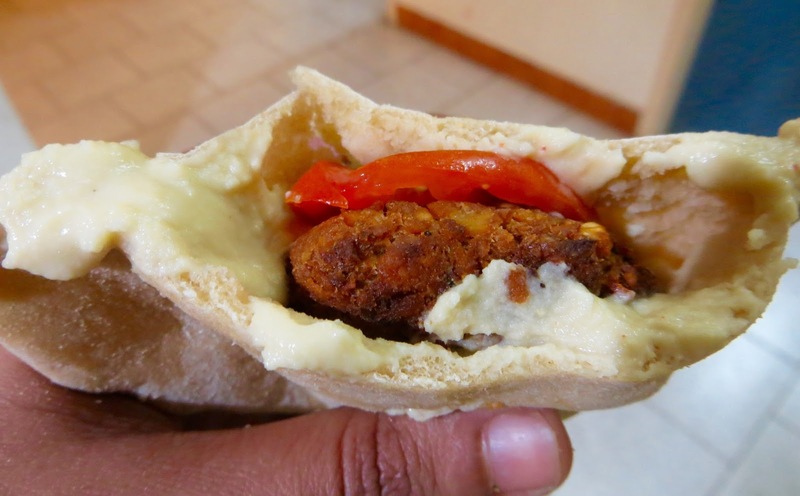 I have always loved pita bread with hummus and falafel. 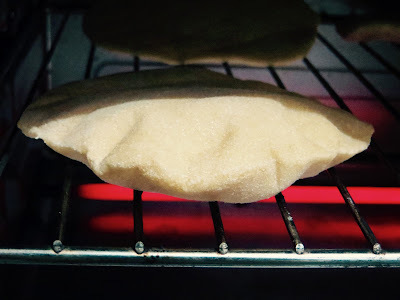 I have been making whole wheat pita bread for a long time now, and only this time I managed to save a few from everybody for clicking pics. 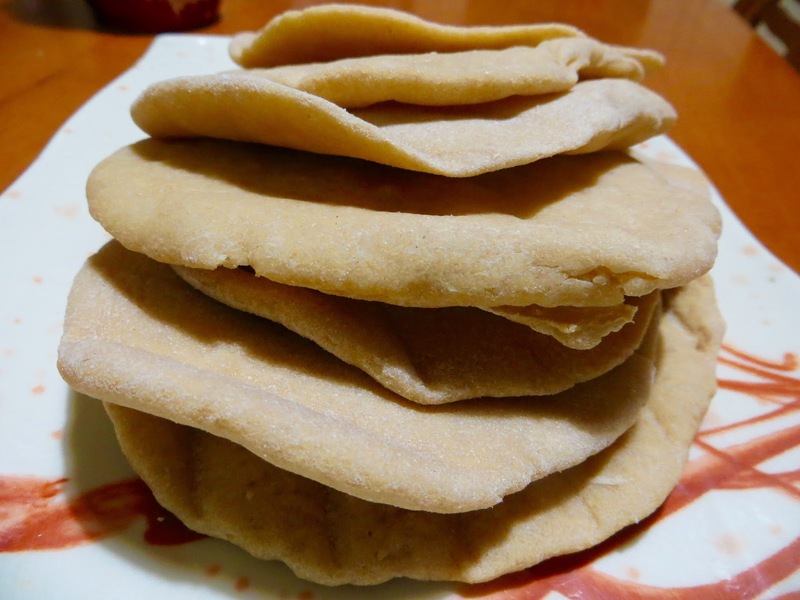 So presenting the recipe for super yummy fluffy whole wheat pita bread with the perfect pockets to let you stuff any of your favourite filling, sauce or dip. Recipe for creamy hummus and falafel in the next post. Mix sugar in the warm water and add the dry yeast, and let it sit for 2-3 minutes. It will rise within that time, if the yeast is active. Make sure the water is not hot, or else the yeast will die. Mix the salt with the wheat flour, and then add the risen yeast mixture and the curd to it, and mix everything. Knead for a while, and then cover with a cloth and set aside for 1 hour. The dough would have doubled by that time. Now punch it back, and knead on a counter top for 5 to 10 minutes to let the gluten develop nicely. Set it aside covered with a cloth for one more hour. Now after one hour, again punch the dough back. Then make 10-12 equal balls out of it. 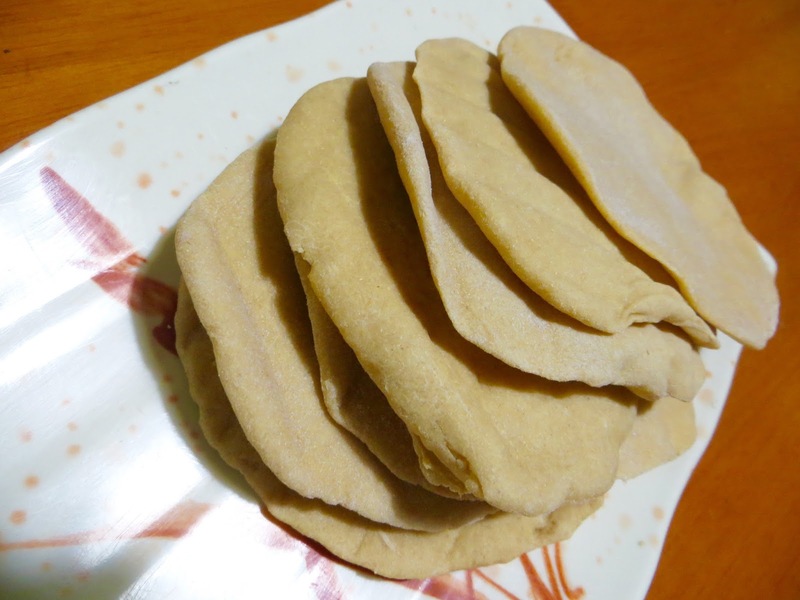 Roll the balls as you would for a somewhat thick roti. Set the rotis on a baking grill or tray. Now remove from the oven, and set on a tray. Cut it into half, to get the perfect pocket. stuff with falafel, salad veggies, salad dressing/hummus/cashew cheese or mayonnaise and dig in!! The pita bread will stay fresh for the next day as well. Ideal for picnic snack, school lunch box or an awesome evening after school treat!